If you have been keeping up with my tweets, you would know that I've been doing some DIY. 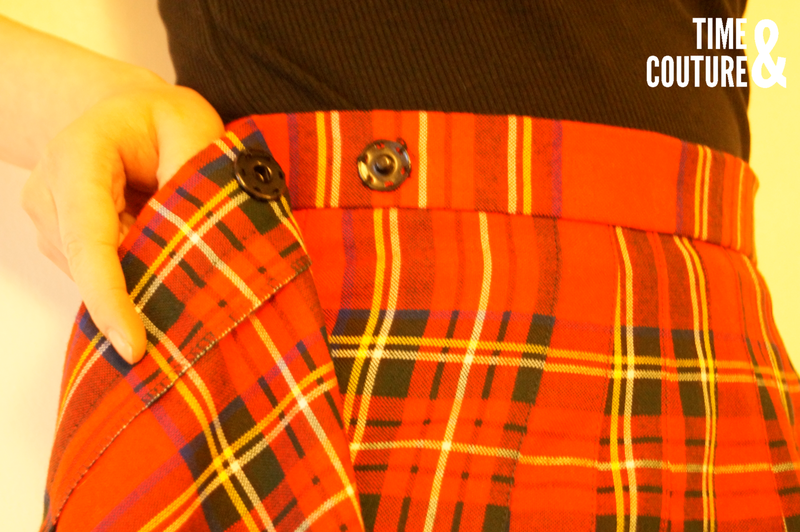 Well, I can finally reveal today that I've been sewing a plaid skirt for two days straight. Since I'm practically in love with a wrap skirt I got from Mango in Milan, I decided to make another one (why not?). So I woke up one morning and my mum surprised with an awesome find in a charity shop. 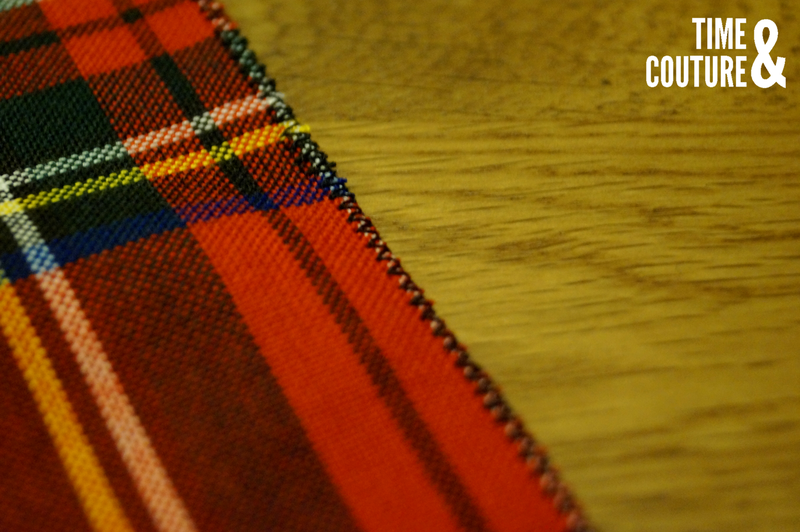 A pure new wool tartan kilt in the Royal Stewart pattern, what's more is that it's in great condition. However, as you can see in the before photo (above left), it was not my size. 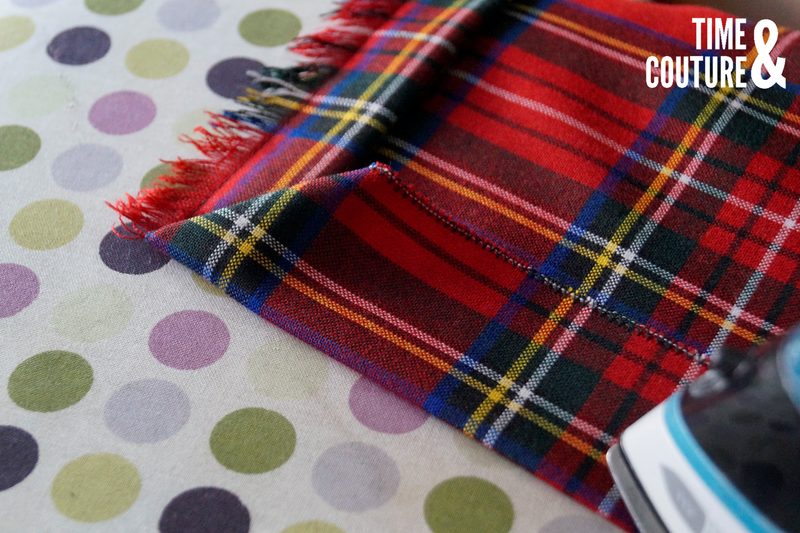 Time to bring out the sewing machine! 1. First things first (yes, I have been listening to Fancy), measure wear you want the skirt to sit. I chose to fit it to my waist. 2. Using some tailor's chalk, mark where you measured. 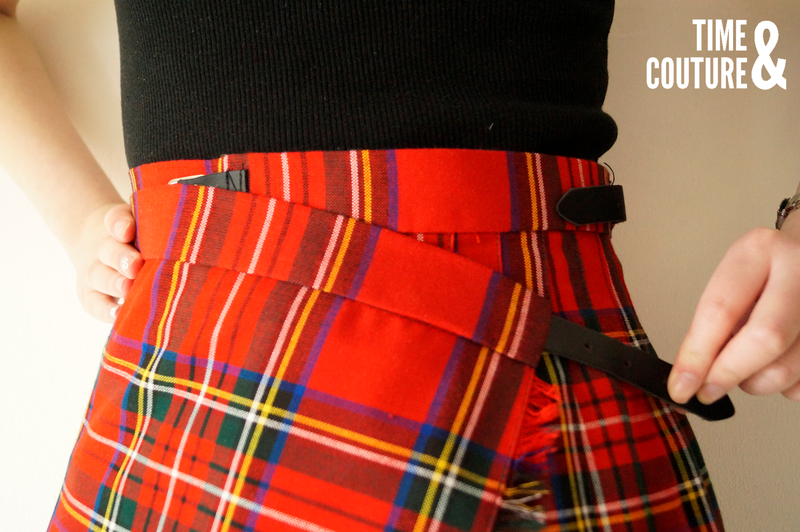 My kilt had a slit for a strap to fit through to the other side, and attach to a buckle. I marked where I needed a new slit to be made, to fit the strap. 3. Using the zig-zag stitch on your sewing machine, sew a thin rectangle around the mark (make sure there is a gap in the middle). Then, cut along the mark with a stanley knife until you've gone through. 4. 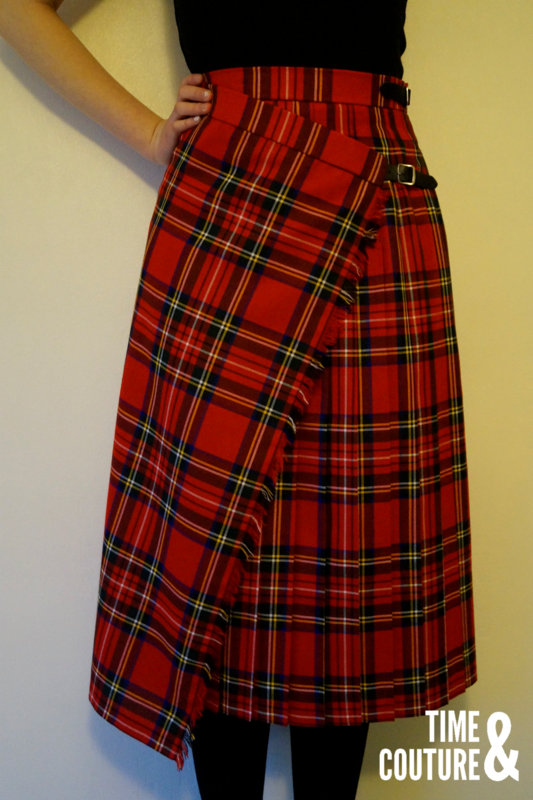 Try on the skirt again and have a play around with the angle of the wrap (mark it down). Do this in front of a mirror to check if the back and front of the skirt is laying nicely on your body. 5. 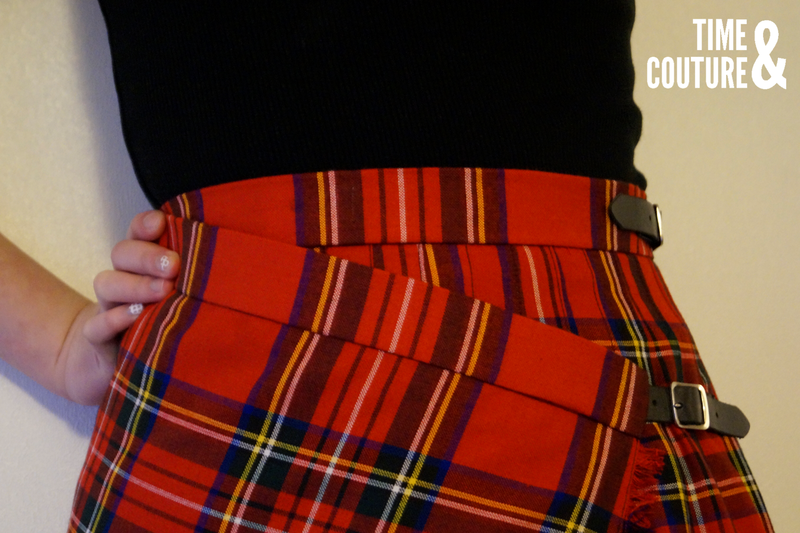 I added a snap fastener to help the top of my skirt form better to my waist. You don't have to do this little extra bit, if your skirt fits properly already. 6. Re-attaching the buckles for the skirt were the most challenging steps for me, I literally had to sit down to cool my head. I would advise you to hand-sew the buckles on, because your sewing machine might keep on breaking the threads and clogging itself (like mine did). 7. 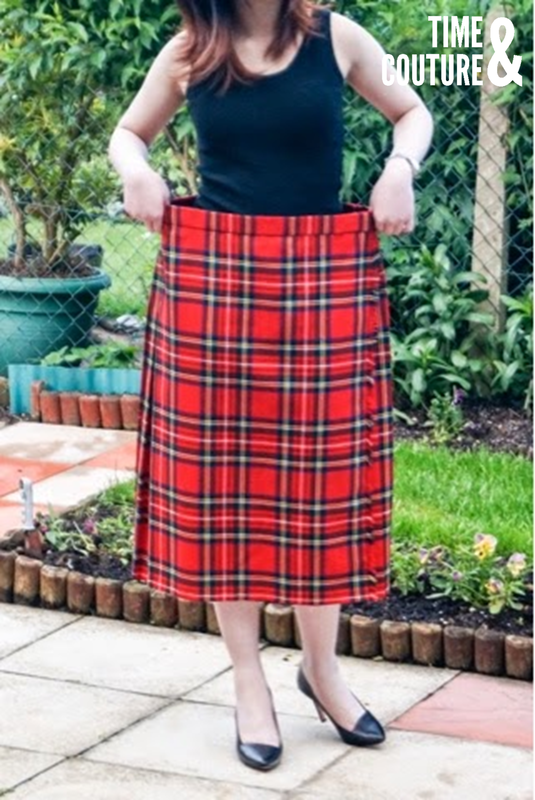 Put your skirt on once again to measure the length you want the skirt to be. I decided to go for a shorter, above knee length. 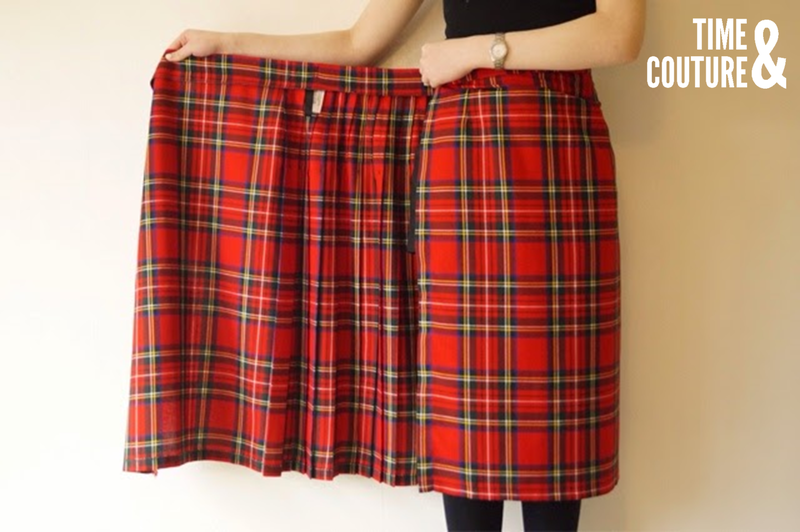 If you prefer a midi length skirt, you have finished! Go grab a tea, coffee or juice, sit back and revel in the aftermath of a productive activity. 9. 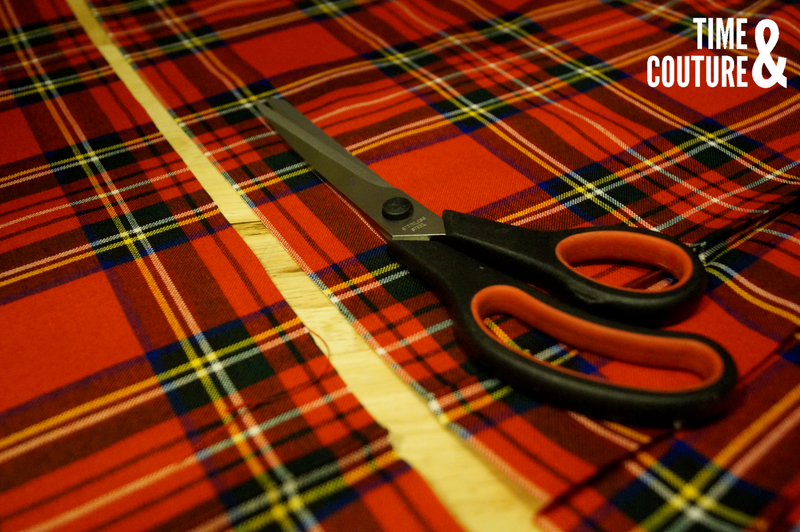 Run a zig-zag stitch along the length of the raw edge you just cut, this will help prevent fraying. 10. Fold up the hem and iron the edge firmly to set the hem. I folded a corner at the ends to hide the extra fringe and make it look neater. 11. 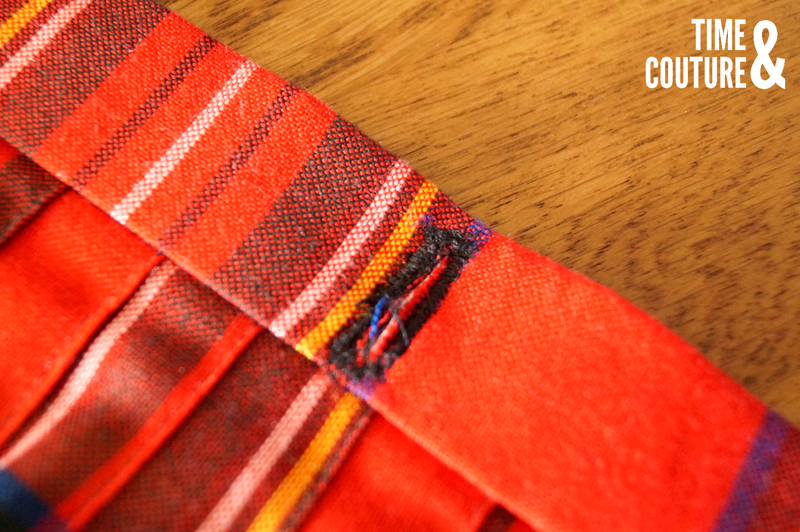 Sew the hem with a straight stitch, about one centimetre from the raw edge. I added a few slip stitches on the folded corner to secure the hidden fringe and because I didn't want to use a visible stitch along the diagonal. 12. 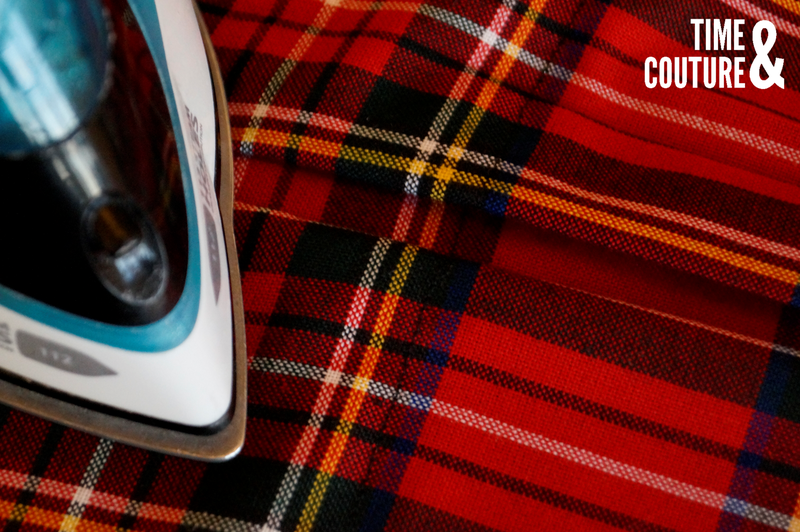 Heat up the iron again and press the pleats on the skirt (only if there are pleats on your skirt already). 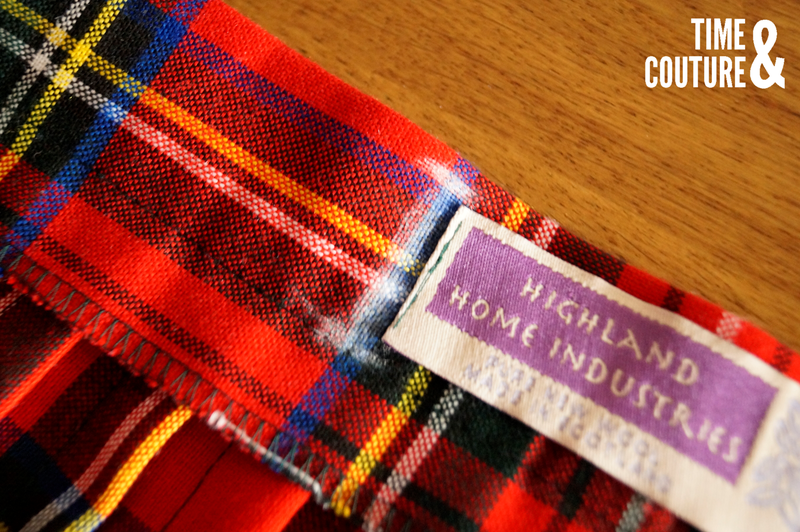 The process of sewing, cutting and ironing might have deformed the pleats. 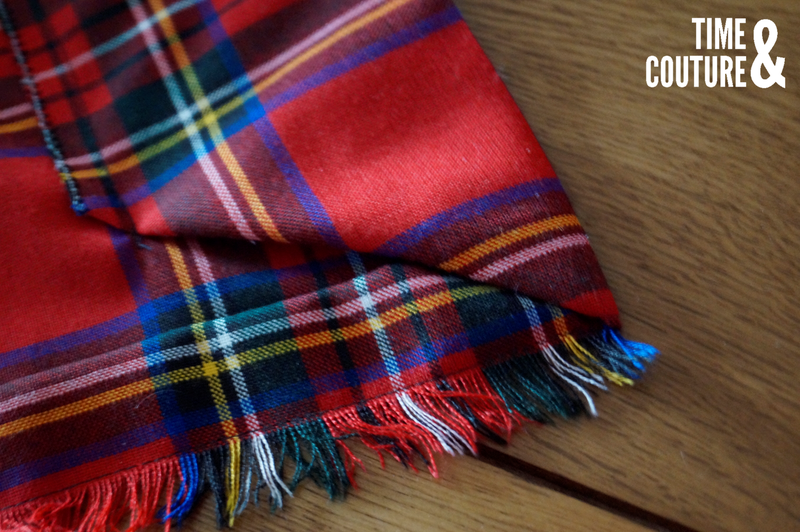 Your wrap tartan skirt is finished! Now go join the rest of them, and admire the handiwork of your newest wardrobe addition. P.S. Thanks to my mum for helping me with the sewing that I couldn't do and my dad for taking the photos that I couldn't take - love you both!